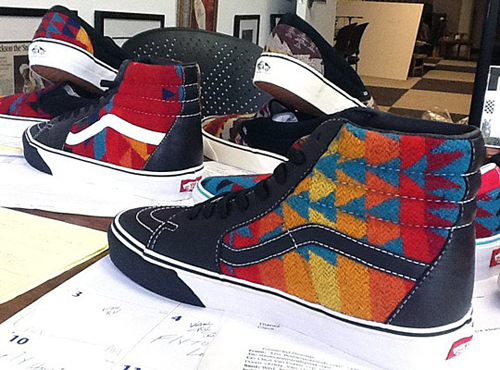 Check out this special project Vans is doing with Nibwaakaawin for the Gathering of Nations Powwow/All Nations Skate event. 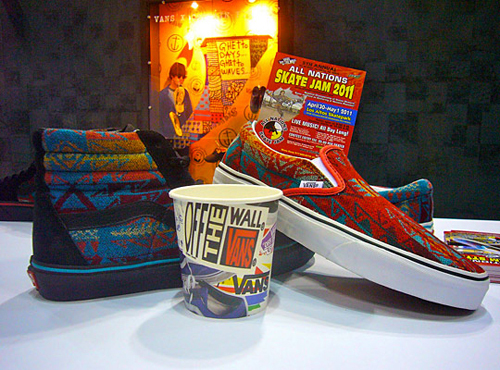 For this event, Vans created several limited edition SK8-HIs, Classic Slip-Ons and Chukka Lows using Pendleton fabrics. 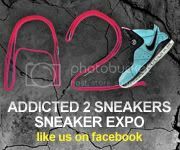 Proceeds from the sale of the sneakers will go towards Nibwaakaawin’s fundraising efforts – a Native non-profit organization whose goal is to empower Native youth through skateboarding.